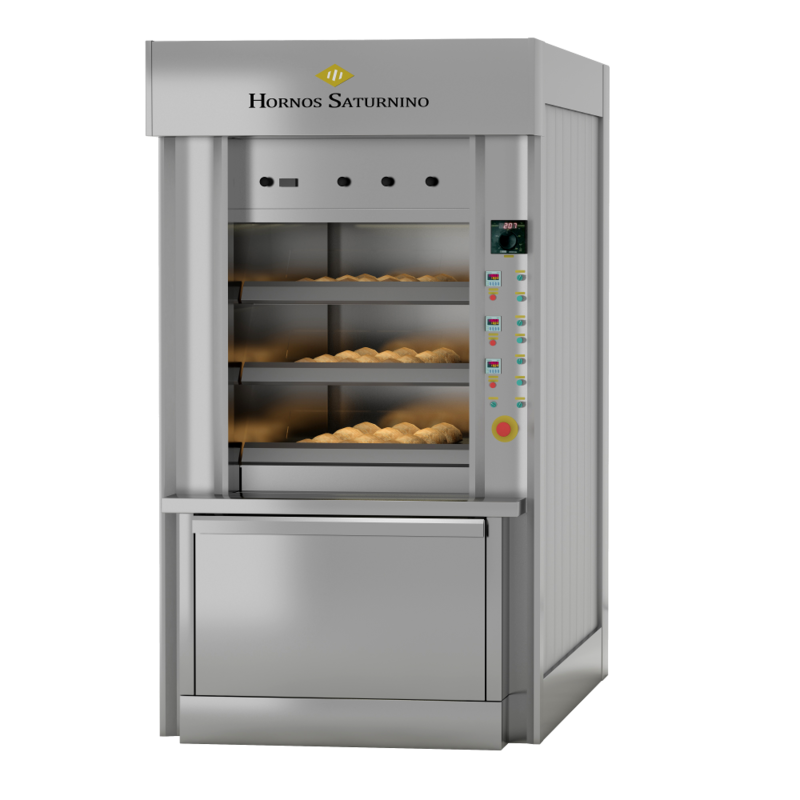 Annular Tube Oven STA – mini 800, is an oven designed for small-scale bakeries and exactly reproduces the baking style of a traditional rotary oven. Annular Tube Deck Oven baking via refractory floor, higher quality crust and base. Better dough integrity and stability without any loss of volume after baking. Perfect independent steam control in each chamber. Twin Steam System. Ovens can be manufactured from 3,12 mts2 to 5,76 mts2. Doors are 800, one door. Number of decks, three and four. Floor base built in various measurements: 1.300, 1.550, 1.810. (Measurements in mm). Built with high quality refractory material, guaranteed long-lasting and energy-saving for a uniform bake. Burner in the front part, suitable for oil, gas, wood-burning and biomass fuel. Oven galleries built totally in refractory material with an annular tube of 35×5. Due to its solid construction, breakdowns are practically non-existent, with very low maintenance given that the oven is not motorized. The hood has been designed to avoid steam condensation and fitted with a suction system for when in use. Doors are self-stabilizing, easy to mount and comfortable to clean. Easy to use analogue or digital control panels. NOTE: As we are the manufacturers we can adapt to your requirements. nextELECTRIC OVEN MODEL SATURNO ELECTRIC.